The latest shopping destination in Tema Accra region. A great selection of shops. 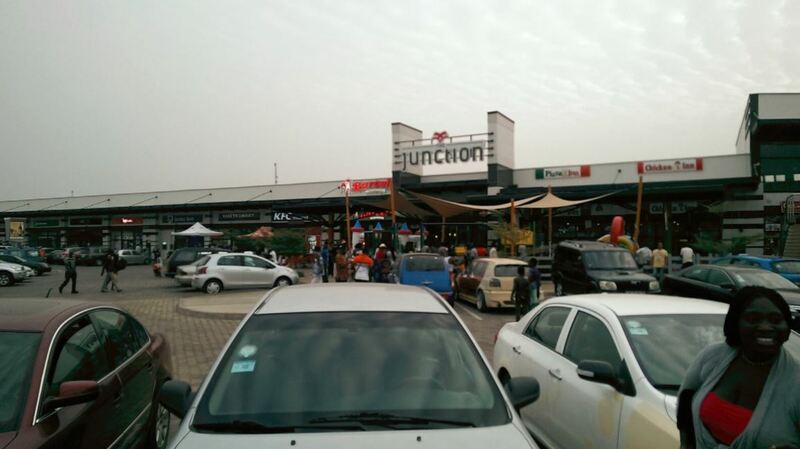 As the name suggestions Junction Mall is located at the junction of Mokowe Street. Serving the seashore community of Nungua, in between Accra and Tema. 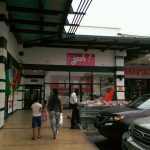 At the centre of Juntion Mall is ShopRite which has become the main Junction Mall has and feels more like a general shopping location where locals can browse and shop without feeling out of place.staple of Ghana like Wal-Mart or Tesco. ShopRite outlets seem to be located at the centre of every shopping outlet. However, Junction Mall seems to have a more relaxed feel to it unlike Accra Mall. Due to the retail park feel. Shoppers can wonder outside and browse in and out of shops meaning that there are more outlets and opportunities for stores to promote them selves through louder sound systems of store reps/ and sales assistants who sometimes conveniently persuade you into their cool air conditioned outlets. The stores are all outwardly facing towards the car park which is larger than most we have seen. The shops are a mix of mobile phone shops, banks, clothing, boutiques, jewellers and electrical outlets selling fridges and televisions to a wide range of food outlets and coffee shops. For clothing MR Price is a good starting point with affordable fashionable clothes which are practical. MR Price can be viewed as a cross between GAP and and TOP Shop. Affordable contemporary clothing at afordable pricing. 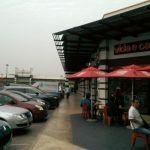 Junction Mall like Achimota retail park/mall is built with the same design and layout. 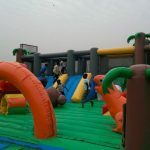 Both have shops and stores facing the car park with outside dinning with both having a kids area with inflatables which allow you to drop the kids for 30mins to 1hour allowing parents to shop in peace. Currently there are a few empty stores with hoardings advertising the new outlets. Junction Mall will soon have its own Nike Outlet so be prepared for a stampede of fashion conscious Ghanaians flocking to this mall to get the latest footwear. Junction Mall is very convenient to those living in and around Tema, anyone located in Community 20 to 18 this mall is practically a stone throw away. (figure if speech, you will need a very strong arm). As with anything in Ghana once you overcome the traffic this is a great place to shop.